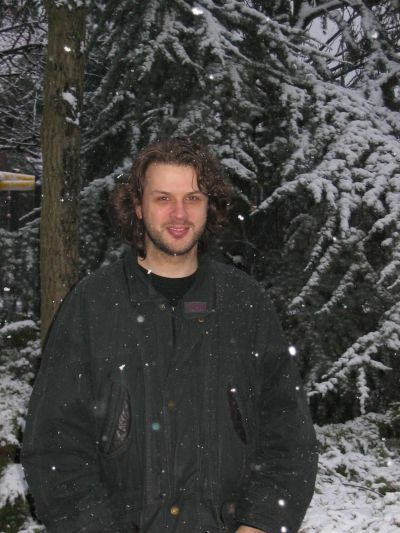 My brother Marco made this picture of me on the 1st of January 2004. We had a little snow in the Netherlands. The trees are just outside my mother's house but it looks like I am standing in a forest. The trees hide the other houses pretty good. The camera used is a Canon A60. My brother bought it just in time, a few hours before his daughter Rianne was born, December the 18th. He also made a picture of Rianne and me on December the 25th.